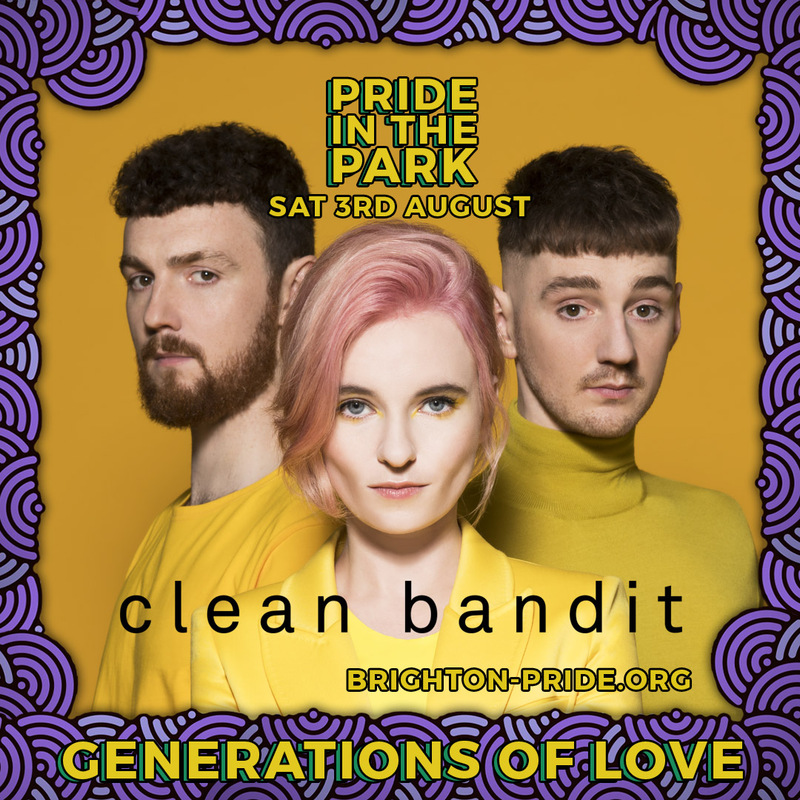 We are thrilled to announce Clean Bandit are joining our stellar line up for the main stage at Pride In The Park, part of the Brighton & Hove Pride Festival, on Saturday 3rd August 2019. From their origins as part of a string quartet, Clean Bandit have consistently pushed the boundaries of modern pop with a diverse blend of electronic, dancehall, classical, R&B and pop. Breakthrough success came in 2014 with the single ‘Rather Be’, feat. Jess Glynne, a Grammy award-winning worldwide hit that has now surpassed 10 million global sales. Further success came with their 10 million-selling single ‘Rockabye’ feat. Sean Paul and Anne Marie shooting to #1 in over 40 countries. Their last single “Solo” feat. Demi Lovato has recently been nominated for two Brit Awards. The band have now notched up 9 UK top five singles, more than Bruno Mars or Adele. We are excited that Clean Bandit are bringing their brillant catchy tracks to Pride and look forward to an amazing afternoon dancing in the park with them. Our fave Brighton Pride pics!